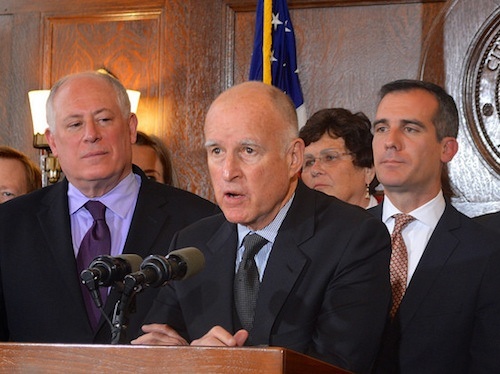 As delegates gather in California today for Governor Jerry Brown’s Global Climate Action Summit (GCAS), Brown’s legacy as a global climate leader could yet be tarnished by his state’s continuing status as the second-biggest oil and gas producer in the United States. The Summit was intended as a catalyst for action as nations prepare for the all-important United Nations climate conference in Poland later this year, and as a capstone on the term-limited governor’s long career as an environmental and climate leader. While the first of those outcomes is already taking shape—and is even more important after the “uneven” result of last week’s UN-hosted negotiations in Bangkok—it remains to be seen how Brown’s own history will eventually be written. In the months leading up to GCAS, Brown has been under pressure to reconcile his state’s continuing, profligate fossil production with its climate leadership. In May, Oil Change International reported that, while California was on track to save 430 million barrels of oil by 2030 by reducing vehicle consumption by 50%, its oil and gas permitting trends translated into an additional 560 million barrels extracted over the same period. In The Nation, McKibben notes that Brown has approved about 20,000 new wells during his tenure as governor—including four times more offshore wells than the U.S. federal government has allowed in deeper offshore waters. To some extent, McKibben puts that down to a generational difference. From President Barack Obama’s decision to veto the Keystone XL pipeline in 2015, to French President Emmanuel Macron’s ban on new fossil exploration, to New Zealand Prime Minister Jacinda Ardern’s decision to bar all offshore exploration, younger generations of political leaders are getting the message. McKibben critiques the governor’s talking points against a managed phaseout of new drilling permits, noting that Californians of colour “who overwhelmingly inhabit the neighborhoods where Brown permits oil wells” would be the biggest beneficiaries if Brown moved the issue forward. If he chose to, Brown could fight the fossil lobby “with more power than any other politician on the planet”: the state has the technical expertise and citizen support, and at age 80, Brown is “never running for office again, and in no further need of oil money” to help fund his campaigns.